Discover the villages and their uniqueness through their flavors and natural beauty. Hop on the bus and start a trip around the area making stops at wineries, dairies and local businesses. 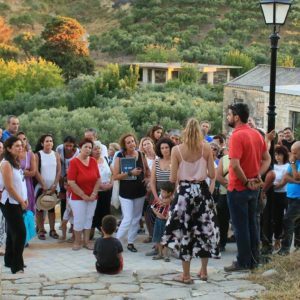 Rokka and Kera villages are located in the northwest of the Prefecture of Chania, in the Municipality of Kissamos, 12 km from Kissamos, 39 km from Chania and 55 km from Chania airport. Following the E65 National Road from Chania to Kissamos, and turning to the Nopigia to Kera – Rokka hub, you will not have difficulty finding us.